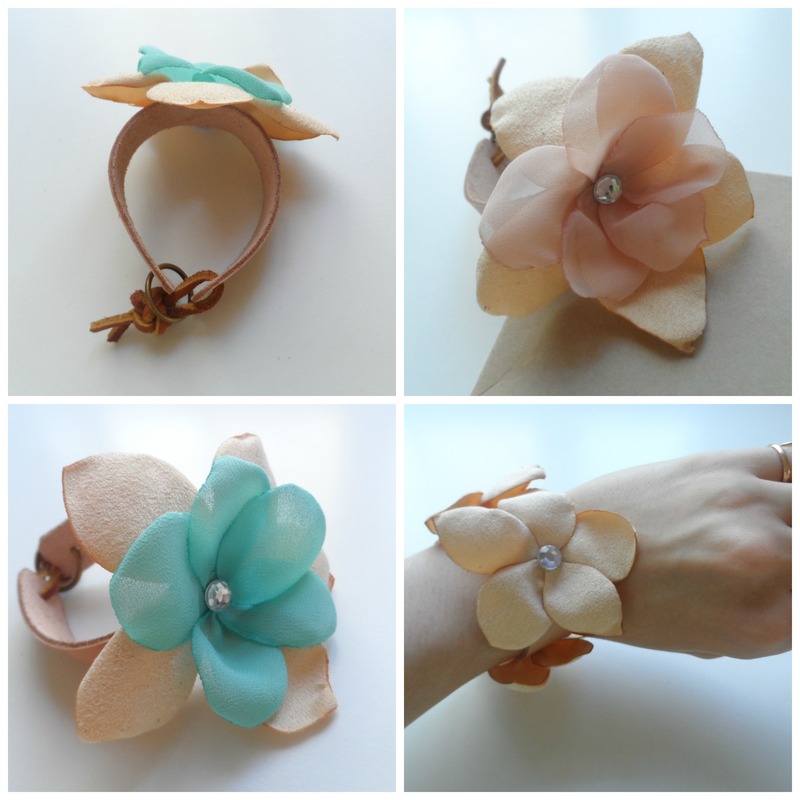 Leather flower bracelets now on Etsy – Go ask Alisa – DIY capsule wardrobe one stitch at a time! We have been really busy lately with getting stuff ready for Renaissance fair. Although we still have time till mid October, it seems like we do need to push a little bit. We just got another order of leather in and we are HAPPY! 🙂 So here we go: cute flower bracelets, perfect for summer! Enjoy!